N8812 County Road E Black River Falls, WI. | MLS# 1527590 | Clearview Realty in Hatfield Wisconsin. Helping Hunters, Families, and ATV'ers list or buy property for 15 years. Serving both Wisconsin & Minnesota. Set up base camp here! This is the perfect location to set up camp, keep and store it all! 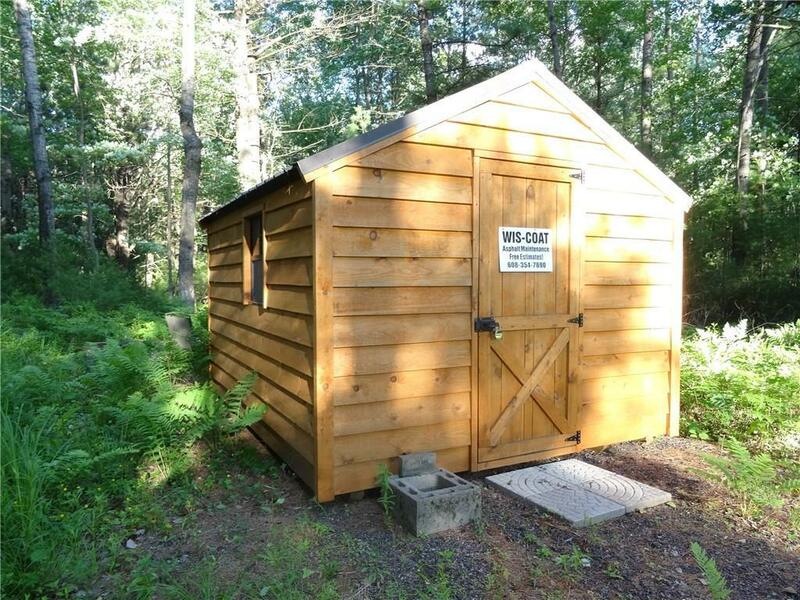 Just 3 miles from Hatfield, this private site is nicely wooded, partially cleared and offers a storage shed for all your Up-North goods! This site is also less than a mile to the ATV and snowmobile trails this area is known for and close to rivers, lakes and public hunting. Just 7 miles from I-94 in Black River Falls. Legal, non-conforming residential lot. Still needs to meet the current code (road) set backs: 75 feet from the center of the road or 42’ from the right of way, whichever is greater. From the rear and side, 25 feet. Yearly camping permit will need to be pulled from the county if you have a camper there for more than 25 days of the year.